The Black and Yellow Loop Bottle Tube has a classic colour combination and can be fished with confidence right through the season. It is particularly good in fast streams and higher water conditions. It is easy to cast and sinks fast. 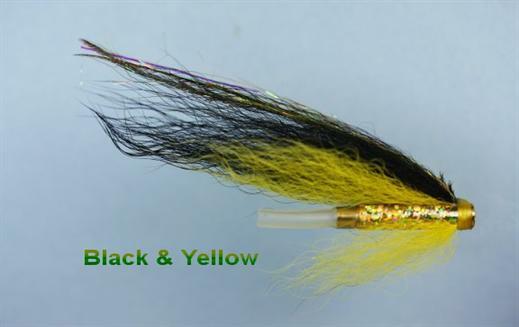 Currently there are no comments about the Black and Yellow Loop Bottle Tube fly pattern from other fly fishermen yet.